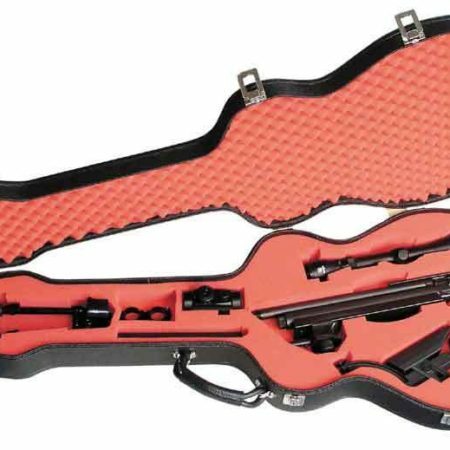 Why would you need a guitar gun case for your rifle you ask. As a kid, I grew up in North Idaho where guys would go out deer hunting before school and park in the high school parking lot with their rifle in the back window and a dead deer in the bed of their truck. Living now in an anti-gun coastal city where the mere mention of an AR, or any gun for that matter, makes you an enemy of mankind, More discretion is required. If you are in the suburbs it is fairly easy to be discrete about loading up your rifle when you are headed out for some range time, but if you are in the city, living in an apartment and taking mass transit, packing standard rifle cases around is going to raise some eyebrows. The last thing any of us need is getting trapped on a bus with an ultra-liberal anti-gun nut hassling us about what we have in gun case. It is best to stick to the Gray Man Concept and just blend into the background of all the people going by. How do you do that when you want to haul your rifle around you ask. 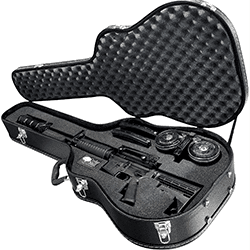 The simple and fun answer is a guitar gun case. Slap some stickers on one of these bad boys and no one will blink when you drag it onto the bus or onto the subway. I’ve done some looking around and here are a couple of guitar gun cases that might be a good choice for you if you are trying to stay discreet while hauling your AR around. 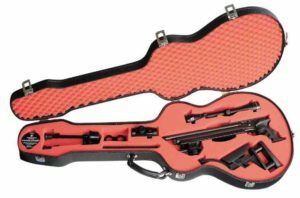 If your budget allows it, the Cedar Mills Guitar Gun Case is your best choice for carrying that one special rifle around. This is built to last. With a full foam insert that is pick-and-pluck ready in one in increments, you can tailor your gun case to securely hold any of your rifles and accessories. Why not make your own DIY guitar gun case? Now if you are the DIY type, you can probably whip something up on your own of course. If you do some searches for “DIY guitar gun case” you can see how some people have hacked them together. I’m torn on this as a project though. You might save some money building your own guitar gun case, but I think it is more of a project that you do for fun or because you want to use a certain case. 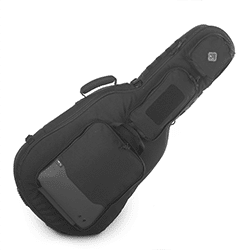 What do you think of guitar gun cases? Leave us a comment and let us know what you think of this idea. We would love to hear your input. 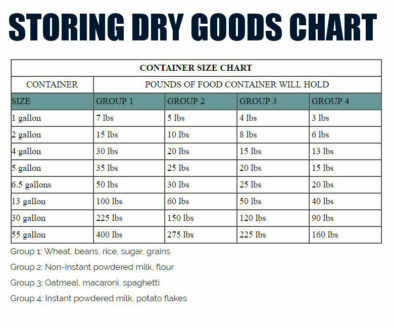 Also, be sure to share this page with any of your friends that might be wanting to keep their rifles discreet as well.